I have to be honest, I wasn’t excited to see Alita: Battle Angel. My apathy to this film started from the moment I saw the first trailer. It looked like a very interesting idea, with a lot of potential, but I couldn’t help but notice that none of the dialogue grabbed me. Not one of the characters stood out as memorable. I finally saw it this week, and unfortunately, it seems on this occasion that first impressions were pretty much spot on. I am not saying that this film isn’t good, it’s no way near bad, but it isn’t fantastic either. It is just fine. And that’s part of my problem with it. One of the things that can make or break a film is character and dialogue. Sometimes I forgive films with minimal budget and/or lacklustre visuals simply because it has engaging characters and a good script. For example, I love the show Buffy the Vampire slayer in spite of frequent budget constraints making the effects look dated and cheesy. Why? Because of the characters. Joss Whedon is brilliant at creating scripts with very relatable, frustratingly human characters. I grow to love almost every character he has written and as such, I love the show despite its flaws. However, a film can have incredible visuals and top-notch action, but if the characters don’t feel fleshed out to me, I’m just not going to care what happens to them. Sadly, this is the case for Alita. 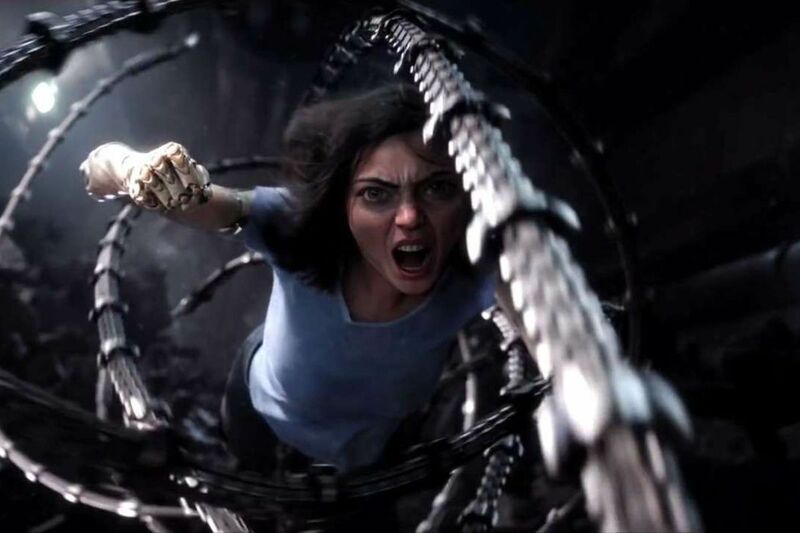 Alita is brought to life with a lot of vulnerability and innocence by Rosa Salazar, but she is given little to work with. The weird big eyes she is given in post make it hard to empathise with her, especially because no other characters have them. I realise this was adapted from a traditional Japanese anime, in which all the characters have huge eyes, but then why don’t all the characters have this? 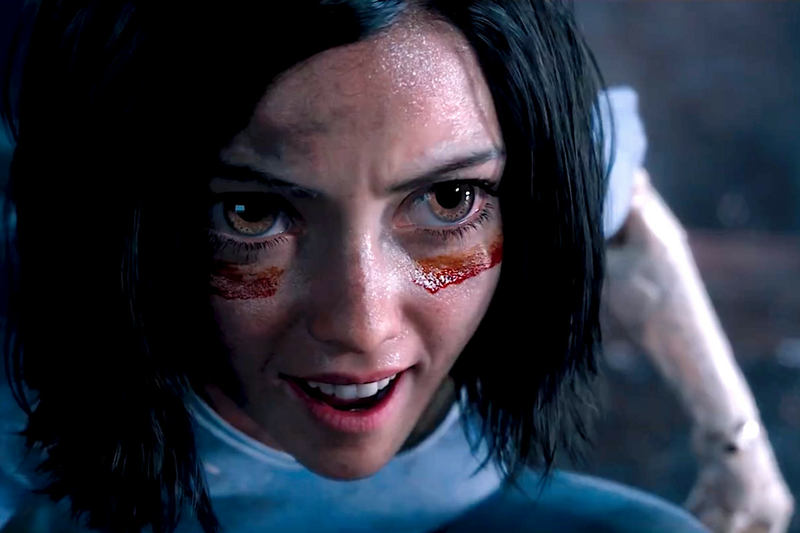 The eyes are distracting, but beyond that we know nothing about Alita as a character. We see her do a lot of stuff, and we know she’s impulsive and good at fighting. But what else? Other than a generic sense of justice she doesn’t particularly stand out. But then none of the others do. Christoph Waltz seems fatherly one moment and sinister the next, but at least he has a little personality. Keean Johnson doesn’t even manage to make Hugo, Alita’s love interest, seem like a real person at all. The extent of his character is that he wants to improve his station in life, and he likes Alita, for no obvious reason. Even the villains, played by great actors like Mahershala Ali and Jennifer Connolly, barely get enough screen time, and have no depth to them. The problem is that the script seems to have had so many potentially humanising moments cut down or left out altogether. The dialogue is so matter of fact and blatant that it becomes funny at the wrong moments. Alita calls people evil and declares that she must fight evil, with a straight face. 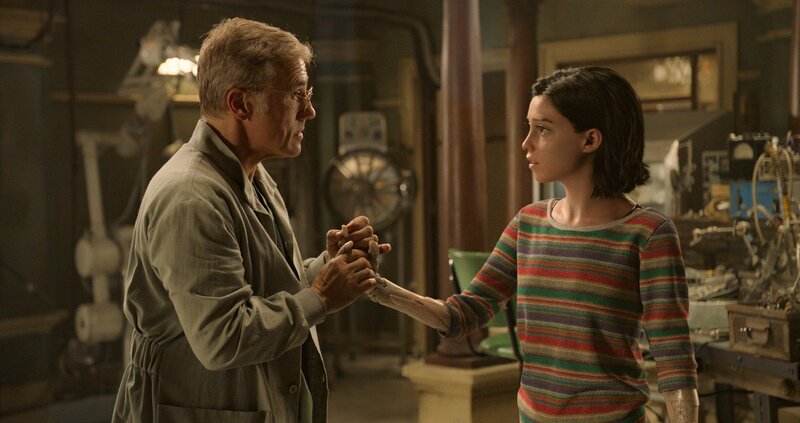 Potentially interesting conversations last a few seconds at most, like when Alita asks Doctor Ido if humans can love Cyborgs, to which he simply says “Yes”. Most of the dialogue just feels very generic and I struggle to remember any of it, even though I watched the film yesterday at time of writing. This lack of compelling conversations and too fast pacing means that I never feel I have enough time to get know or even particularly like any of the characters, so when any of them die, the moment feels empty. I don’t care what happens to any of them, because the film won’t let me. I think the film suffers from trying to create broad appeal. Anime typically has a very specific style, and watering that down with so much generic dialogue makes for a weak experience overall. Robert Rodriquez is great at creating stylistic films, and the Spy Kids films have shown that he can make very distinct characters, but I just felt a little disappointed this time. Don’t get me wrong, he remains great at memorable action, Alita’s fighting style is certainly unique, and there is a lot of fun in watching a small cute looking cyborg destroy a bunch of big and tough ones, but it just isn’t enough for me to care about what’s going on, and I want to care. The visuals are incredibly impressive, although like Ready Player One, it’s over-reliance on CGI to create background and characters gets a little annoying. Computer generated imagery can be breath-taking, but using it for both background art and most of the characters smacks of complacency. It would’ve felt more impactful if the characters were only partly animated, and used actual physical costumes. But like I say, the visuals are good. The action is also fun. It was surprisingly visceral and gory, considering that this is a PG-13 film, but it was a welcome surprise. Personally, I think they could have gone further and made this R-rated, or at least a 15, then it could have really taken advantage of the brutal setting. But that’s really just a nit-pick. Despite all I have said, I don’t mean to imply that this film is worthless. It is entertaining and visually fun, and not too long. It had a lot of good production design, and the world it creates is interesting. But for me, it was kept from being truly engaging by the mediocre dialogue and lacklustre characterisation. I realise a lot of these complaints come from the script, and that really is what drags the film down for me. There is a lot to enjoy here, and if you can look past the script’s failings, you’ll have fun, but sadly for me, I couldn’t. I’m not sorry I saw it, but I’ll probably forget it very quickly. Well, the nominations have been officially released, and now begins the long build up to Oscar season. The Academy Awards are a curious thing. People are frequently very surprised when I mention that I don’t really keep up with them anymore. Some of them say that as a film graduate, I should care a lot more about the films that win or are at least nominated for awards, especially ones so prestigious as the Academy, and I can see their point. Certainly, when a film that I like wins an award, I’m very pleased and proud of the filmmakers. And I do keep an eye on popular films, I love expanding my taste so it pays to look out for films people recommend. But I just don’t value the Academy awards as a way of rating films anymore. The Oscars is a very old and celebrated yearly event. If a film or individual wins an award, they can expect a huge amount of respect and a significant career boost. Marketing campaigns for films cannot shy away from displaying their Oscar pedigree on all the posters and trailers, but to me, it doesn’t really mean as much. Obviously, a lot of the films that win the awards are really good. But the system is so skewed that this almost feels more like a coincidence than careful selection. To even be considered for nomination, film producers must sink money into “for your consideration” campaigns. These are designed to essentially bribe voters into picking the film for nomination. This is covered in more detail on the show Adam Ruins Everything, and I highly recommend watching it to find out just how broken the voting system really is. On top of this, in spite of improvement, the Oscars is still predominantly white, and not very representative. Sure, Moonlight won last year which was great, but the majority of the attendants are still white. The majority of Voters are still rich old white men. Not that I hate that sort of person, but how can they accurately decide the best actor or film of the year? Their tastes are not going to reflect what film say, a young Hispanic woman would enjoy most. The ceremony is hard to watch. Whenever I tried, I couldn’t get away from the incredibly vain atmosphere the show gives off. This is a televised award show, all about the upper crust, the elite of Hollywood all slapping each other on the back and feeling very pleased with themselves. That just fails to appeal to me. But that wasn’t the worst part. The show is just tedious. It’s a dry dull drawn out slog of going through categories. You can get the same enjoyment hearing the results the next day. When I went to my graduation ceremony, there was at least the anticipation of receiving my degree at the end to keep me going through the boring parts. Why are we even watching strangers win awards? Or, if we are going to, it would be nice to have a few indie award shows, to give people lower on the rung some much needed exposure. Let’s face it, Bradley Cooper doesn’t need exposure, or a career boost. The worst part of the whole night though, is the animation. The voters are not particularly interested in animated films, and that comes across in the extreme. Look back on previous years lists; they’re short on variety or genuinely artistic films. Most of the nominations can be predicted ahead of time. Pixar will always be nominated, because everyone watches Pixar. Studio Ghibli or another well known artsy anime film will be on the list, although very rarely actually win. There might be one actually worthwhile creative animated movie, and then a mediocre but popular CG film that the voters probably saw with their kids. Admittedly, I’m probably sounding snobby, but isn’t that the point of the Academy? To be a little discerning? The Boss Baby doesn’t need or deserve an award. 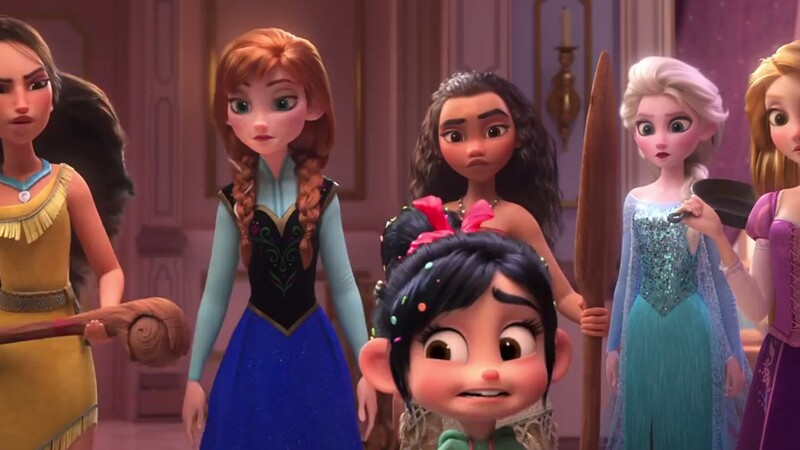 Wreck-it-Ralph 2 certainly doesn’t, and if the voters just put a little effort into picking a genuine variety of unique animated films, I might pay more attention when they declare who wins. As it is though I look elsewhere for the years’ top animated features. So, I don’t watch the Oscars. This isn’t a protest or some sort of statement. I’m not trying to prove a point, I simply have very little interest in them, and my taste in films isn’t impacted much by which films win. I like what I find most entertaining and artistic, and I trust my friends’ recommendations more than what some group of middle-aged rich men from another country decide is the best. I’m fine picking my own best films of the year thanks. Hi everyone, this is a reminder that Senlac Hill, a historical novelette I wrote last year is available on Amazon in both digital and paperback versions. If you would like to pick up a copy, but forgot to buy it, this is your chance! I also appreciate all constructive feedback, so if you would like to review the book, either on the amazon page or on your own blog, please feel free to do so! It is a historical fiction set during the day before the Battle of Hastings, from the point of view of one of William the Conqueror’s soldiers. It’s a period of history I’ve always been very keen on, and it was a great experience getting to write about it. If you’re curious about what my fiction is like, please consider downloading the book or ordering a physical copy. Thank you all. I wasn’t excited to see Aquaman. Having avoided DC films outside of Wonderwoman since I was burned by Batman VS Superman, I was worried that they would never do away with the bad decisions hanging over from Zack Snyder’s films. However, I was incredibly surprised to find that Aquaman is actually an extremely fun film. It won’t win any Oscars of course, and it isn’t going to change the way you think about film, but it’s a damn entertaining romp. Directed by James Wan and starring Jason Momoa and Amber Heard, this is a film I could just sit back and relax in. For the record, I am not saying this is a mindless film, although there are certain people making that argument. I don’t think this is a particular dumb or shallow experience, although of course, it is primarily here to entertain. But for me, this film represents another step in the right direction for DC. One of the things I loved about Wonderwoman was that it played to the strengths of the DC brand. One of the key things I love about DC comics is that it is about beings of immense power, god-like figures dealing with human problems. DC is at it’s best when the character’s have to deal with their immense power and responsibility and rise to the occasion. Wonderwoman tries to save people and defeat the god of war throughout her film. Meanwhile in Man of Steel Superman is unthinking enough to move a fight out of a populated area to prevent civilian deaths. In the same way, Aquaman is not about Arthur Curry the human dealing with the human world, and James Wan isn’t interested in trying to copy the dark knight tone that has been hanging off the DCU since it started. Instead he took inspiration from the comics and made an epic adventure about a prince struggling against his cruel brother to become the rightful king. As a fantasy nerd, that appeals to me a lot. Anyway, looking at the acting, one can argue that it lacks subtlety. Most of the performances are hammy, though earnest. Patrick Wilson is having the time of his life as the younger brother with a chip on his shoulder. His version of Ocean Master has a lot of insecurities that get the better of him. But I enjoy the style. Something all of these actors do is make the scenes feel fun. The acting for me suits the tone of the film. It wouldn’t make sense to make the drama incredibly intense, and the acting all subdued and grounded. That’s how you get tonally inconsistent films like Man of Steel. It wouldn’t work in a story with sentient fish and giant sea monsters. To make this story, I think you need your tongue firmly in your cheek. They cast Dolph Lundgren for goodness sake, they know what they were going for. Jason Momoa is great to watch. His version of Arthur Curry is a reluctant hero, but one that enjoys the adventure. He isn’t dour, even as he holds resentment against the Atlanteans for supposedly killing his mother. His angst comes out as a rebellious playful attitude and Momoa has enough charisma to pull it off. He has enough gravitas, and knows which moments to play as serious, but also portrays this character as a fun-lover, which is something DC has been sorely missing. Amber Heard is also great as Mera. She plays a strong willed and dangerous character that puts her duty to her people above her own. She and Momoa have decent chemistry and she injects a level of steadfast determination that helps Arthur to start to strive more in his own journey. But the acting isn’t the highlight for me, it is the visuals. The story and acting on their own would have made a slightly above average film. The pacing is fine and the writers managed to deftly juggle two different villains, which makes for a first in superhero films. But the visuals were smashing. Obviously, there is a lot of CGI, after all, you can’t film underwater the whole time. But the effect is pulled off very well, and the colour and costuming are vibrant and just the right level of silly. The shots are often very beautiful and there are so many moments in the film that I would have been happy to print and put on my wall as posters. Some seemed to come straight out of the comics. James Wan knows how to direct a fun film and he focuses on giving us many cool action scenes that are a lot more creative than the standard punching that makes up so much of other superhero films. Characters fight with water, characters fight using tridents; they even manage to make the fish telepathy cool, such as when Aquaman literally controls a giant sea monster from deep in the earth. We have an epic underwater battle, and final duel between the protagonist and antagonist. Yes, I know that is a cliche, but it’s such an enjoyable one, that I don’t mind. We have fights in the rooftops of an Italian town, and a gladiatorial battle in an ancient underwater arena. The variety of action goes a long way to prevent it getting boring. There are so many things in this film to keep you entertained. Coming back to what I said earlier. This film isn’t perfect. It has problems, such as a tendency to phone in some of the dramatic moments, like Arthur’s parents being separated, and while I do like Heard and Momoa’s chemistry, their romance feels rushed. At the end of the day you could say that this film is a bit of a mess. But if it is, it’s a fun, gloriously silly mess. It’s simultaneously epic, campy, fun, light-hearted and visually stunning. It might not be an Oscar worthy film, but I had a great time watching it, and for DC, that is an achievement all on its own. Long time no posts! I’m sorry for the inactivity over the last few months, this time in my life has been a little unstable, and so it’s been easy to leave things like maintaining a blog by the wayside. However, I have seen plenty of new films and have many ideas for new things to write on here, so do not despair, content is on it’s way. I will be trying to update regularly once again, and although I can’t promise I’ll be able to write every single week, I will at least try to make it every other week. I hope you all had a great Christmas, and I hope to be able to entertain and grow this blog in the coming year. Apologies for the temporary hiatus. I haven’t been able to see any new films in a while, but I finally got around to watching Bohemian Rhapsody last night, and I have quite a bit to say about it. I heard a while ago that they were planning a Freddie Mercury biopic and thought it would make an interesting story. At the time Sacha Baron Cohen of Borat fame was slated to play the legend himself, but I think that wouldn’t have been as good. Rami Malek does a terrific job capturing the depth and flamboyance of Mercury in equal parts. Besides, Cohen is a comedian, and might not have had the acting chops to deal with the more serious moments. This film is very good. As simple as that sounds, I think it sums things up perfectly. It isn’t a masterpiece, it has flaws, yet it certainly isn’t mediocre. For me it was overall a very fun time. The direction from Bryan Singer was fast paced and energetic, never letting moments get too long or slow. There are several montages in the film which use superb editing to convey the passage of time, although sometimes the transitions used felt almost too silly, like one of the over the top dance transitions from Austin Powers. 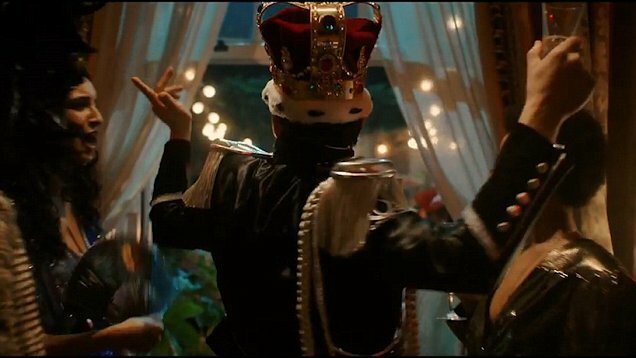 Otherwise, the direction was tight and well-paced, and most of the time Singer seems content to allow the story of Queen and Mercury to drive the film. This is probably the best approach to making a biopic, letting the style be dictated by the people the film is based on, rather than trying to stamp your own vision onto it and misrepresenting the people involved. The acting is really special. Rami Malek manages to play Mercury with all his witty bravado and campy swagger, yet also conveys vulnerability and insecurity all through his eyes. After a while, it doesn’t matter that he isn’t very similar looking to Mercury; he becomes him. As for the rest of the band, they all do a smashing job too. Ben Hardy as a slightly brash Roger Taylor is funny and charismatic, even if he does look a little too young for the second half of the film set ten years later. Gwilym Lee is a dead ringer for Brian May, in fact he fits the role so well, I’m not sure they didn’t actually just clone May and use him instead. His voice, cadence and mannerisms match the guitarist to the tee. Finally, Joseph Mazzello plays John Deacon, a more subdued and down to earth personality. He portrays him as very much the groups voice of reason and the first to try and defuse the many arguments the band inevitably have, although he gets some very funny lines as well. So, all four of the actors playing the members of the band absolutely nail their performances. For me, that was already all I could have asked for, but the rest of the cast deliver top notch acting as well. Lucy Boyton played Mercury’s fiancé turned close friend Mary with much heart and a good deal of sadness that was very moving. Allen Leech did a fantastic job making Paul Prenter, a somewhat maligned figure in the bands history, seem a more three dimensional and nuanced character, even with some of the terrible things he did. Mike Myers has a pretty funny cameo as a music producer. In summary, none of the cast let the film down. Story wise, I’m admittedly not an expert on the history of Queen. I’ve seen a documentary on the life of Freddie Mercury, but that’s about it. As far as I can tell, the film takes a few liberties with the timeline of when certain things happened, and some events that took longer are condensed into single scenes in order to fit the run-time. For the most part though, it feels faithful to the events that happened and with two of the original band members, Brian May and Roger Taylor, producing the film it can’t have gone too wrong. It is a very engaging story, covering Mercury joining the band when they were only playing at pubs, all the way to their famous performance at Live Aid. It would have been hard to make the story of Queen boring even if they tried, but the script could’ve still failed if they focused too much on certain parts to the exclusion of others. I feel that writers Anthony McCarten and Peter Morgan have managed to give a broad stroke cover of most of the important aspects of Freddie Mercury, although I would’ve liked a little more screen time for the other band members. I have heard criticism that this film glosses over Mercury’s homosexual relationships and focuses too much on his relationship with Mary. However, as I hadn’t even known that Mary existed before watching it, I felt it was important to include her. She was an integral part of his life, and I personally didn’t feel that they glossed over anything in Mercury’s life. Indeed, some of the more gripping scenes in the film are about him coming to terms with his sexuality and his identity. If I had any criticism of my own it would be that I could’ve done with a scene or two covering at least part of his childhood, to get a fuller picture of his life. I would review the music, but to be fair, it is all Queen’s songs, and so they are pretty much all fantastic. The placement of the songs over the top of key moments was mostly appropriate, although it would’ve been good for a few more scenes with silence to let the characters breathe. The recreation of Live Aid does go on a little too long as well in my opinion, going through full versions of several of Queen’s line-up, which drags, especially when they keep cutting back to people watching it on TV. But other than the that the music choice is excellent, and the only complaints I have are really just glorified nit-picks. This film is a really good watch, especially for those with a keen interest in rock history. It gives a very unfiltered and honest portrayal of the life of Queen and especially Mercury, and it is funny, exciting, and at times, heart wrenching. It’s a film I came away feeling very affected by, and if you see it, you might just feel the same way. Fallout… a title that can’t deliver. I have a soft spot for the Mission: Impossible franchise. They’re ridiculous, overblown excuses for Tom Cruise to do extreme stunts, sure, but they’re always a lot of fun. I love the fact that each film has a director with a radically different style, leading to action films that feel very distinct from each other, even with the same characters and plot. Tom Cruise is always game for more and more insanely dangerous stunts, which means that even if the plot can be a little uninteresting at times, we can always look forward to some breath-taking action. All in all, while I wouldn’t call these films my all-time favourites, I enjoy each movie that comes out quite a bit. With that said, this is probably the least I’ve enjoyed a Mission Impossible film in a long time. Let me explain. I did like this movie, in fact I’d say I had an above average amount of fun with it, but I couldn’t help but feel a little disappointed at the end of it. While it has a lot of creative action scenes, it has several major flaws which I couldn’t quite ignore. Firstly, the film has a desire to become an emotional, dramatic experience. There are many scenes dedicated to the guilt Ethan Hunt feels for how he has changed his ex-wife’s life and how he affects the people around him. His ex-wife returns at the climax of the film to lend the final scenes extra stakes, and she and Luther have an emotional moment whilst defusing an actual nuclear bomb. There are so many tense scenes in which Hunt’s close friends are threatened with death. Ving Rhames’ character is held at gunpoint, Simon Pegg’s Benji is almost hanged. But what makes these attempts fail to land for me is that they don’t matter. The film loves half measures. Ethan Hunt is framed as a rogue agent, but then almost immediately exonerated. Benji and Luther are both saved at the last second, and the only character to die is Alec Baldwin’s. Baldwin is a good actor, but he had so little to do in the last movie that his development in this film feels as though it only exists to make his death impactful, and so for me it just failed to feel sad at all. Christopher McQuarrie directs this film as though he wants it to be two things at once, and so it doesn’t quite fit either. It is trying to be both a serious dramatic thriller, and a ridiculous action experience in which Ethan Hunt learns how to fly a helicopter in seconds, and survives three separate vehicle crashes. On the one hand he fills it with scenes in which Hunt struggles with his guilt, yet refuses to properly resolve this. His ex-wife is brought back, but unlike in Mission: Impossible 3 where there were consequences for him involving her in his life, she survives and nothing bad happens to her at all. I am not saying that this film needed to kill anyone off, or have any of the characters suffer, far from it. I loved Mission: Impossible 4 and that film is quite light hearted. But the tone of Mission: Impossible Fallout doesn’t fit the content. Even the title, Fallout implies some deep and serious ramifications for Ethan Hunts actions. But there is no fallout, just a little smoke. Hunt saves the world just in time and everything is fine yet again. That would work if this film was aiming for a more tongue in cheek tone, but unfortunate it ends up feeling like a cop out. I also could have used a lot more of Simon Pegg, who feels criminally underused. There aren’t many good lines or moments for Pegg to exercise his comedy chops, and that is what his character is for. Without them he feels a little pointless. Most of the other cast feel as though they are trying, but owing to the lack of real stakes, it all feels as though they really want you to take everything seriously, even though the plot is ridiculous, and none of the characters are in any real danger. The title writes a cheque that the movie can’t cash. Like I said at the start, none of this makes the film bad. It is entertaining, fast paced and a full of fun action. I admire Tom Cruise for insisting on doing so many of his own stunts, and the visuals are great fun. Henry Caville, while not particularly nuanced has at least mastered the evil glare, and he’s a relatively fun villain. What isn’t so fun is the amount of time the film spends pretending he isn’t bad. Hollywood, it isn’t a twist if we all see it coming, the guy with the moustache and the thousand yard stare, as well as a fondness for killing is probably not a good guy. Who would’ve guessed? Apart from this, I can honestly say I enjoyed this far less than I thought I would. I wasn’t looking for things to dislike, or trying to find flaws, in fact I was in a forgiving mood, but I can’t look past the amount of flaws dragging this film down. It could’ve been a much better, more cohesive movie, with a steady tone, but instead it straddles a weird line between serious spy thriller and overblown action flick, without once fully committing to either. Oh and a minor point before I finish, this film needs to chill with it’s soundtrack. I swear every scene was drowning in heavy music, trying to spell out how we should be feeling, making all subtlety fly away quickly. All in all, this a mixed bag of a film. It has plenty of fun moments, but as an overall product, it is a bit of a mess. It has solid acting, but nothing special. I would say that this is a fine film to watch on TV, or pick up in a shop for a couple of quid, but otherwise I wouldn’t bother. If you really enjoy Mission: Impossible as a franchise, this probably won’t be your favourite, but I doubt you’ll hate it either. I just hope that the next director Tom Cruise gets for the seventh film will breath new life into this series, because it needs it. I am probably very late to review this film if you’re reading this from the USA, where the movie has been out for months. However, in the UK we only recently got this film, and so because it is the only new movie I have seen in the last month, I’m reviewing it. Not that I have nothing to say about it, after all, I’m a fan of the superhero genre, although I am starting to finally feel that apathy that has been arising from a lot of movie-goers. 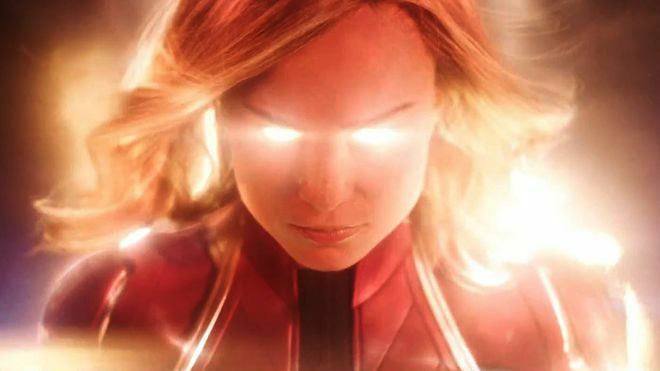 It can be hard to be excited about the genre these days, as we are so spoiled for choice and that can lead to the market being dominated by big superhero blockbusters. Some films, like Infinity War, rise above it and manage to be fresh new takes that breathe new life into the genre. Antman and the Wasp is not one of them. Let me begin by saying that I did not hate this film. It is for the most part competently directed and I was never terribly bored watching it. It keeps up a good pace, better than the first Antman, which dragged at times. The characters and story are more memorable than the previous film too, which helped me forget a little of the wasted opportunity of Edgar Wright’s Antman. The cast mostly deliver strong performances, and the size shifting powers feel even better integrated into the action than in Civil War. The visuals have been upgraded from the last movie, meaning that a lot more of the film uses contrasting size shots, which is something only the train fight scene from Antman managed to pull off. At the end of the day, it’s a film that knows what it is; a palette cleanser from the dour ending of Infinity War. A light-hearted romp with likeable actors and smaller stakes. Those are the film’s strengths. But in a bizarre way they are also its weaknesses. The film never excels. There were no moments that stood out to me as incredible or exceptional. I realise it’s not a requirement that every film has outstanding moments and there is nothing wrong with popcorn movies. However, the shadow of Edgar Wright looms large even over the sequel. Peyton Reed clearly knows what he is doing. He understands these characters and knows how to direct them. But it feels as though this is just a job to him. I never feel any passion behind the movie. I actually liked the film a lot more after having just seen it. Now, a week later, it has faded quickly from my memory and I find myself a lot less keen on it. It leaves no impression. The actors do well, and there are several scenes which did make me laugh, such as when Paul Rudd portrays Michelle Pfeiffer reuniting with her husband and daughter using his body. It was very well acted and emotional yet humorous at the same time, which is tricky to pull off. There just weren’t enough scenes like this. The movie felt in retrospect like it was on autopilot. Set up the hero’s situation, reintroduce the characters from the previous film, set up the villain, conflict, resolution etc, rinse repeat. There was not really any spark for me. Don’t misunderstand me; I enjoyed it. It wasn’t a complete waste of time but at the end of the day it hasn’t resonated with me and it’s hard to defend a movie like this to someone with superhero fatigue. Almost everything in it is something we’ve seen already in other Marvel movies. It improves on the previous film in almost every way, but the previous film was painfully average. As a result, the sequel is elevated to simply decent. But maybe that’s enough. Although I didn’t get much out of it, it hasn’t failed at what it set out to achieve. I may talk on about how the story is very predictable and the film hasn’t much to offer that’s new, but that isn’t really this film’s goal. Not every Marvel movie has to be deeply emotional or breath-taking. Sometimes they can be simple pleasures. I may not have enjoyed this film that much, but I did enjoy it. I watched it and laughed and had fun. The film seems constructed for this reaction. It’s a pleasant film that doesn’t rock the boat, and although there is an abundance of movies like it, I can’t bring myself to be too critical. At the end of the day, with the current fraught political climate, and the dark ending of Infinity War, there is nothing wrong with people wanting a simple entertaining film to provide some escapism. Although if that is why you watch this, I suggest leaving before the post credits scene. As much as I enjoy writing for this blog, taking time to organise my opinions and examine them carefully before I share them with you, my real passion has always been fiction. For a long time now I have been writing in my spare time, and growing up I read many different books; more even than I watched movies. Recently I have been trying to turn my writing into a proper career, which is part of the reason I have been neglecting this blog for a while. Sorry about that! To make up for it I am releasing the new review at the same time as a link to my debut novelette. It is a historical fiction set during the day before the Battle of Hastings, from the point of view of one of William the Conqueror’s soldiers. It was originally written as a screenplay for my final project at university, and I have since adapted it into novel format and released on amazon as both a paperback and a kindle version. If you’re curious about what my fictional writing is like please consider downloading the book or ordering a physical copy. I could really use your support and it’s a story I worked very hard on. Thank you all.